Posted on 14, December 2015 by EuropaWire PR Editors | This entry was posted in Aviation & Aerospace, Germany, Transportation & Logistics, Travel and tagged Dr. Thomas Stüger, Lufthansa Technik AG. Bookmark the permalink. 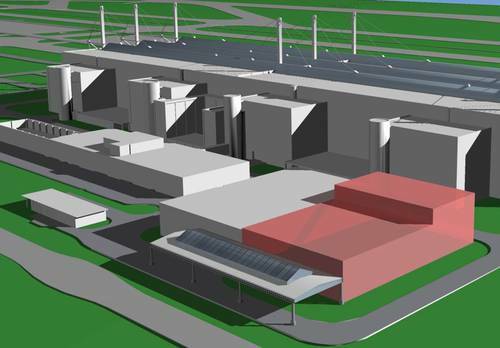 MUNICH, 14-12-2015 — /EuropaWire/ — Lufthansa Technik AG is stepping up its capacities for the support of the Airbus A350: a symbolic groundbreaking marked the beginning of the expansion of a highly modern warehouse for the spare parts supply at the Munich location. The existing warehouse of Lufthansa Technik Logistik Services (LTLS) is being expanded by 3,200 square meters of floor space and optimized for the A350 support amongst other things.The currently limited warehousing capacity of LTLS in Munich in connection with the expanded material supply for a new aircraft type necessitated the expansion. The warehouse expansion offers significant efficiencies for internal transports. Material flows and transport ways are optimized and synergies are created by centralizing the operative business. Decentralized stocks are given up. Lufthansa Technik Logistik Services (LTLS), a wholly-owned subsidiary of Lufthansa Technik, is a leading provider of logistics solutions for the aviation industry. The wide spectrum of services ranges from transport management including engine and AOG transport through to complete warehouse management. Founded in 1998, the company now has a workforce of more than 1,300 employees. LTLS recorded a turnover of some 215 million euros in 2014. The Lufthansa Technik Group, with more than 30 subsidiaries and associates and over 26,000 employees worldwide, is one of the leading providers of technical services for the aviation industry. Its portfolio encompasses the entire spectrum of services for commercial aircraft: maintenance, repair, overhaul, modification and conversion, engines and components. ← Foodservice: Puratos acquired North American Pennant Ingredients, Inc.